Third Fridays Latin Social for New Dancers | Tangueros | Happenings, Nightlife, Music | Style Weekly - Richmond, VA local news, arts, and events. Price: $5 Proceeds will benefit Salsa Guy's Bomba and Plena dance group to purchase costumes and instruments. 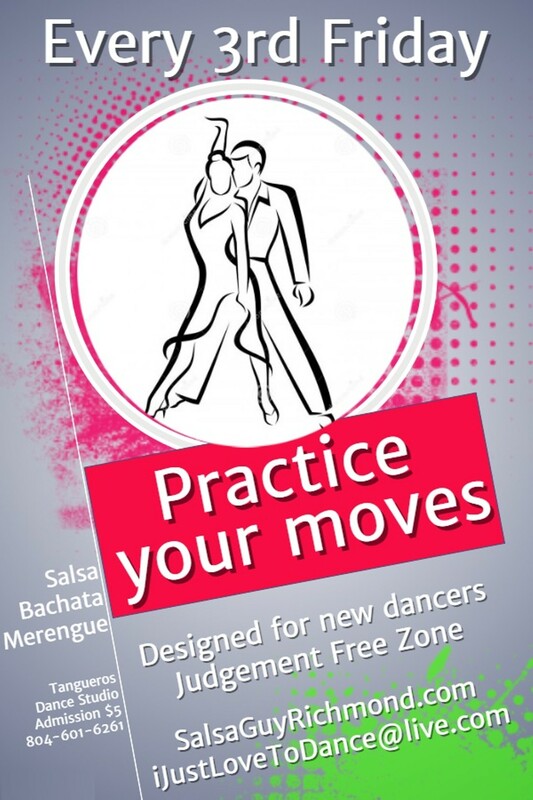 This dance is designed for new salsa dancers who want to practice what they have recently learned in a environment free of judgement. It starts with a 30-minute dance lesson that covers the basic steps of salsa, merengue or bachata. 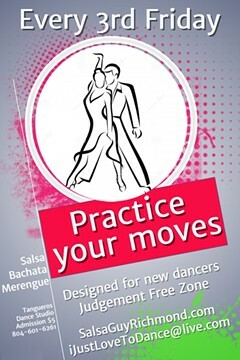 The main instructor, the Salsa Guy, will be assisting you with any questions you may have about your footwork or turns. Hosted by Salsa Guy Richmond and Salsa Guy's Bomba y Plena. Proceeds will benefit Salsa Guy's Bomba and Plena dance group to purchase costumes and instruments.